The festivities have not dampened my children’s desire to craft. 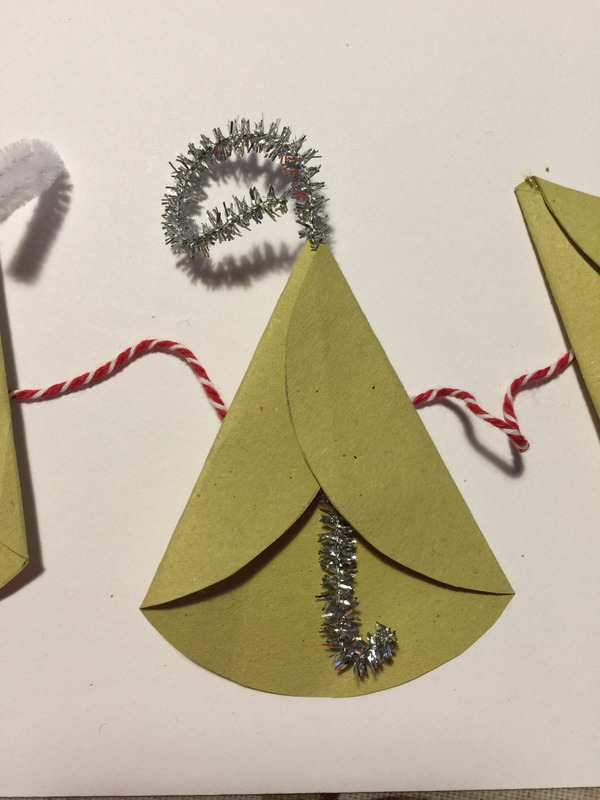 We managed to squeeze in another quick New Year craft which I wanted to tell you about. 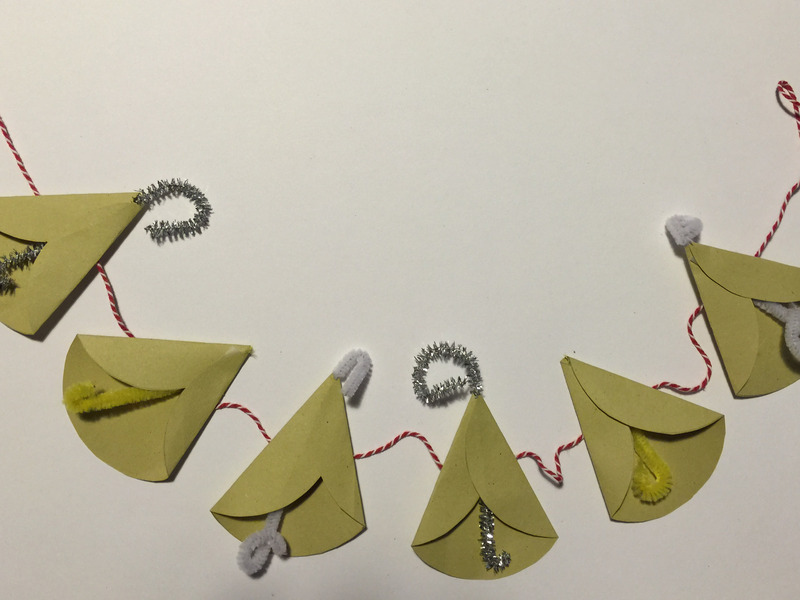 We made a sweet little paper bell garland for New Year. Find something large and circular to draw around, I picked an old coffee jar, and drew and cut out 6 circles. Find the top of each circle and make two folds to create the bell shape like this. 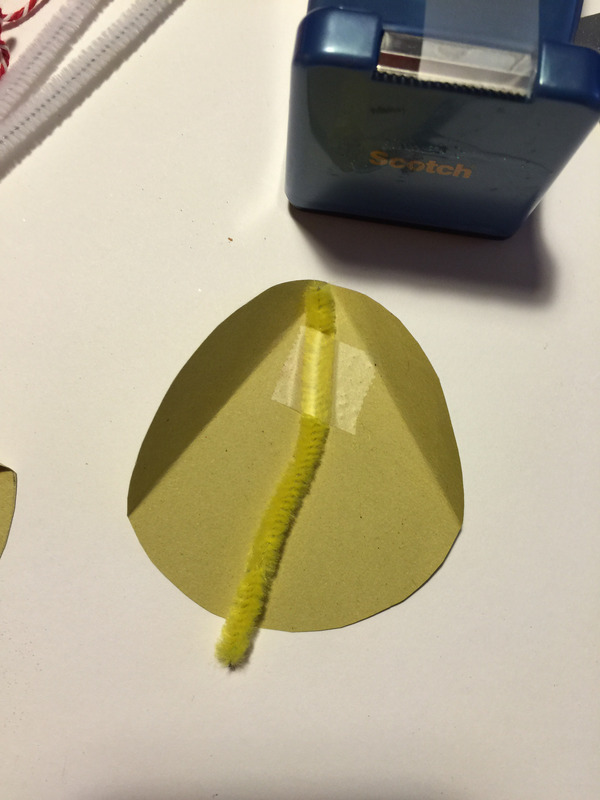 Cut a small length of pipe cleaner and sellotape in place inside each bell. Stick the flaps of the bell down with a small piece of sellotape. We decided to hang our bells on some twine and they’re currently hanging above our paper plate New Year numbers. That’s so precious, I really miss making little crafts with my daughter. I must borrow my nephew! Those are really cute bells! And so easy to make! Cool idea!